Is there a more elegant shrub than boxwood (Buxus)? I don’t think so. Evergreen and tolerant of all kinds of “shape-shifting,” it is the ideal plant to edge a pathway, or to frame a garden bed or border. Despite its beauty this box, however, has one major drawback: it is very expensive. But you can have a sophisticated boxwood hedge without breaking the bank. My own ribbons of enduring green, pictured above, are living proof of this fact. In spring, take stem cuttings, 6 inches in length, and remove the lower inch of leaves. Group 5-7 stems together to resemble an entire plant, and plunge them directly into the prepared bed. By “prepared bed,” I mean soil that has been newly-loosened, and amended with leaf mold or compost. Pack the soil firmly around the stems. Keep the cuttings moist, and you will have new, rooted plants in about six week’s time. Incidentally, starting a boxwood garden from cuttings is nothing new. The famous antebellum box-garden at Valley View, near Carterville, Georgia, was started by the owner’s wife in the 1840s. She planted there cuttings obtained from her old family home in South Carolina. This habit of passing boxwood from one generation to the next is a pleasant tradition that we should revisit today. My garden is planted with Buxus ‘Winter Gem,’ which does not require a burlap cloak in wintertime. ‘Green Mountain’ and ‘Green Velvet’ are also hardy, at least to zone 5, and so is the true English dwarf boxwood, B. sempervirens suffruticosa. Hi Kevin! Are those the kind of hedges they use in mazes? Have you ever thought of building a small maze in your garden? I think you'd have enough room! Judy – Yes, although the maze at Hampton Court, where my partner and I got lost (resulting in one of us having a panic-attack), was composed, I think, of ancient yews. I will take your suggestion for constructing a maze here under consideration! Hi, Kevin: Did you use a rooting hormone for the cuttings? Yolanda – I know that some gardeners like to use rooting hormone powder for boxwood; I have not found it necessary. But if you have some on hand, why not use it? A little powder on each stem won't hurt. Justin – my hedges are clipped when growth is robust, usually late May. I hire the job out. The person who clipped the box last year did a fabulous job, but unfortunately he was not available this spring. I was not terribly pleased with the new hire; he seemed to be lacking in basic “barber” instincts! A gas-powered hedge trimmer is always used here, and it takes two hours to do the entire job. “Ribbons of green,” indeed. Very beautiful setting you've created. Thanks for the inspiration. Absolutely stunning. And to think, much of the greenery started from cuttings. Congratulations on your garden(s) and such an informative web site. Janis in Chicago – welcome to A Garden for the House, and thanks for your kind comments. I hope that you will stop by often. Does this same technique work for rose clippings, etc., or do I need to stick them first in water to get the roots growing? Hi, Janet! Roses, in general, are more difficult to propagate than boxwood. However, there are thousands of plants that will propagate in the same manner as box. I found this photo of your yard while searching for the plants you mentioned to landscape my front yard!! Small world. I have two questions, how far part should I plant the cuttings and how fast to grow? Thanks again for sharing your lovely home with your readers. Space the cuttings (in clusters of 5 to 7 stems) 12-inches apart. With good care these will begin to form a solid hedge within two year's time. Linda – nice to meet you. I completely understand how annoyed you must feel! I think that your boxwood is, indeed, planted too far apart. Since you are dealing with only 5 plants, have them moved at least 6 inches closer, just as your designer intended. What are great resource I've found! Your photos are beautiful and the information about boxwood propagation is exactly what I needed to know. It's late October in Georgia and I am considering propagating boxwoods over winter in large potting trays. I don't want to chance doing it outside now the tender roots might have to brave freezing conditions in 90 days. I would plant what I hope to be more established little plants in early spring (mid March here) What do you think of my plan? Thanks again for sharing all of your images and wonderful posts! I am hoping that, though I am very late to the party, you can still help me in my forlorn state? I am so grateful to have come across this site! Your gardens are breathtaking! I am in the process of planting one gallon boxwood (Green Mountain) in my Zone 5a yard. I have been planting them rootball to rootball. Now I fear they are too close together? I have invested my life savings in boxwood and I would hate to see them perish. Is it too late to move them? (The plantings have been in for two weeks, some have not yet been planted). Do I NEED to move them? I am a committed gardener, so if pruning is a future issue, I would rather do that than dig up all the boxwoods. Andie – nice to meet you. Speaking from considerable experience with boxwood, placing the plants rootball-to-rootball is perfectly alright. In fact, it is a wise thing to do if you wish to achieve an “instant” hedge. Just keep the plants watered during their first growing season. Boxwood is unbelievably sturdy. You invested your money wisely. “See” you again soon, I hope. Though it is quite obvious how talented and clever you are, your kindness supercedes your other gifts. I have already learned so much from this site, I hope to learn a great deal more. Kevin: I have six established Green Mountain boxwoods that I want to move. What is the best time of year to do it? They have lots of new growth now so I am pretty sure it is not the time to relocate them. Jackie – Go ahead and move your boxwoods now. Give them plenty of moisture and they will recover in no time at all. 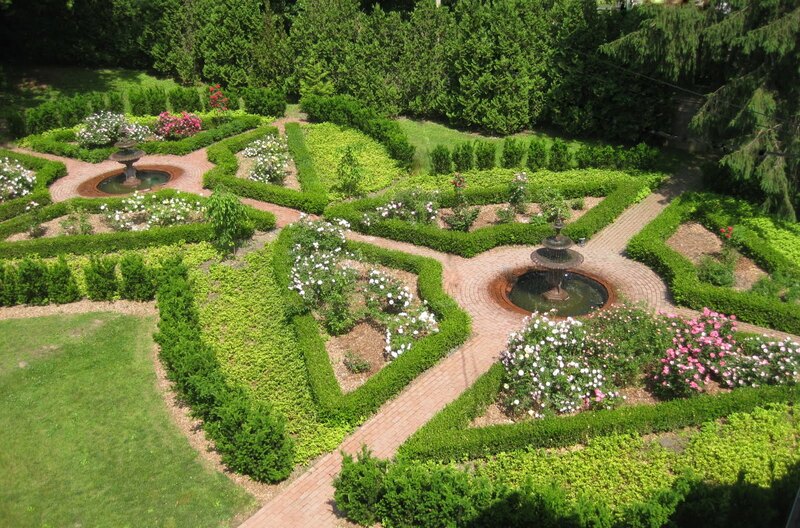 Please come and visit my blog to see my boxwood parterre. I could not have done it without you. Thank you! Divine Theatre – Gorgeous! Seems you are a gardening nut…just like me. Do you think Winter Gem boxwood could handle the heat of SW Missouri? We also get very low temps in the winter, often near 0 degrees. Diane W. – Nice to meet you. Yes, ‘Winter Gem’ can handle the heat and the cold even in SW Missouri. Amazing shrub! I have 6 boxwood plants that I planted when we first moved into our new built house in 2005. They have grown beautifully and I am planning to get stem cuttings from them this spring and plant them directly into the ground. I started dreaming of a beautiful boxwood garden after I chanced upon your site and read how you started yours from your own boxwood plant. I am from Notre Dame De L’Ile Perrot, Quebec and would like to check with you when in spring I can actually do my propagation directly into the ground safely. Can I just use the regular garden soil and enrich it with bone meal ? Allow me to say that your articles are very inspiring and a great guide for new gardeners like myself. Thank you very much. gaie quizon – Nice to meet you. You can take cuttings from your boxwood as soon as new growth appears in spring. You can take cuttings all summer long, too. Make sure to keep the soil moist for the following six weeks or so. 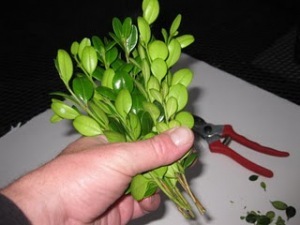 You can also propagate boxwood by layering the stems. Thank you very much for your prompt and helpful answer. I hope I will be able to show off my garden in two years. I will watch for new growths in spring and will definitely continue propagating my boxwood till summer as you recommended. I can hardly wait for spring to come. Actually, I think it is coming sooner than soon. I will also try layering some stems. It is nice to meet you – actually it is great to have met someone as dedicated and as kind as you. May you have the best 2012! By the way, do you grow lemongrass indoors? I am successful in rooting some and I want to see if it is possible to grow it in water instead of in a pot of soil. Best regards to you. gaie – I’ve grown many herbs indoors, but never lemongrass. Let me know how your water-experiment works out. Hi Kevin, It will give me great pleasure to share something with an expert like you. It is great to cook chicken with lemongrass in a turbo broiler – it is sooooo finger-licking good. Just wanted to take a second and tell you how much I enjoy your site. Every time I visit it, I come away with a new nugget of gardening knowledge. Thank you so much for all the time and attention to detail you put into your site and to your very obvious passion. Elizabeth – What kind words! Thank you. How timely, as I need to decide what to do about a boxwood hedge that was woefully damaged by winter snows. Thanks for the inspiration! THIS is a great idea!!!!!!!!!!!!!!!! I am going to try it with my variegated boxwood and my regular boxwood. ps I made your Cheese Danish from last week’s recipe on Thursday morning as a surprise for my husband’s breakfast. He has told everyone he’s encountered since then! They were a BIG HIT. Very easy and super scrumptious. every time i visit your site I find out something new and useful. Today’s was especially useful as I love boxwood. I thought you had to bring a branch to the ground, scrape the bottom and weigh t it with a brick or something so it would grow roots. THEN, the next spring, cut it from the mother plant and use it as another new plant. Your suggestion makes me think I can have more and larger plants in a shorter span of time. Boxwood is a slow growing, long-lived plant so I don’t think it would be good for a maze unless you had the idea years ahead of the actual finished product. But I thank you for the new-growth rooting suggestion. Bobbie – Go for it. Each year, after my boxwood hedge receives a haircut, I turn some of the trimmings into new plants. I now have more boxwood than I know what to do with! Deborah – Forty years ago, I used the very technique you described for propagating a rose at my mother’s house. Thanks for rekindling that memory! Beverly – So glad the cheese danish was a hit. I’m craving one right now. Deborah – You can absolutely use the layering technique to propagate boxwood. I like to root groups of cuttings because they immediately resemble a little shrub. Just ordered 40 Japanese Boxwood to line a walkway and patio. At maturity they should reach 36″ to 48″ wide. How far apart should I space them? Great site. Thanks for sharing!! anyway, he brought them over saturday and i planted them and then gave them vigorous haircuts… they had been up against a wall and had gotten very leggy – had had no care for a couple of years. so i had all those cuttings and remembered your post – but ran out of time yesterday – so stuck them all in a big pot of water and then the skies opened last night – so they were quite well hydrated. 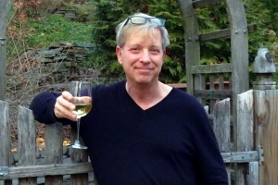 ( i live in the hudson valley near the tappen zee). so this morning up i got and in the rain (just steady drizzle this morning) planted out the cuttings … there will be photos on flickr (sogalitno) later today. i am so happy with the result – this bed has a long story (for another day) but boxwood was part of the solution – i just didnt know how i was going to get enough to make it work. and oh my that rose garden – i dream of that kind of space to have that! so gorgeous. Do you separate the stems as individual plants after they grow roots or just leave them together? Diane W. – I leave them together. You say boxwood is expensive….what variety of hedges are more budget-friendly? This is for northwest Florida. Hello Kevin, I hope you are in the pink of health as I type this feedback after a few months. The first I would like to let you know is my attempt at growing lemon grass indoors. Rooting and growing to a certain height was ok but the very nature of the “grass” makes growing indoors too cumbersome so my son-in-law planted it in a big pot and is now happily growing outdoors. Thank you for my now thriving boxwood cuttings which I planted directly to the ground. Like you said you do your cuttings all summer long – I am doing the same and hoping that in two years, I will have a beautiful front garden lined with boxwood. It is truly fulfilling to see my boxwood growing in numbers at no extra cost, just extra patience. More power to you !!! Good day Kevin.. How do you protect newly rooted boxwood from the harsh winter conditions? All of the cuttings I made are surviving well but I am a bit worried that too much snow might be harmful to the newly rooted plants. Thanks a lot and best regards. Hi Gaie – Congratulations on your boxwood success. If you are worried about the young plants during their first winter, my advice is to cover them with burlap. Use landscaping pins (these are shaped like big staples) to secure the fabric to the soil on either side of the plants. You can find burlap and pins at most garden centers. Thank you so very much for your advice. I will be heading to a garden center this weekend to make sure I have enough time before the first snow fall. I am really excited to watch my young plants grow to ribbon of greens like yours. Bless your heart and more power to you. Great Information! How far should the new cuttings be planted? Hi Amy – I spaced my boxwood cuttings about 1 foot apart. Hi! I’m so happy to have found someone who knows about boxwoods. I bought 7 boxwoods from Lowe’s almost 3 summers ago. They are not growing much, not looking full at all, and some parts have turned brownish. They are in half shade half sun. I live in NW Ohio and they get watered often in warmer weather. I keep telling my husband every summer there is no hope and he keeps telling me to give them a chance. I feel like we would have seen progress by now. Do we have hope and if so what can we do? Kevin, are boxwoods deer resistant? Can a I plant a short boxwood hedge in rocky soil? 15 yrs ago we installed a paver patio and the first 12″-18″ into the adjacent beds is unfortunaely rocky soil. Only thing that seems to grow there right now is Lambs Ear. Any thoughts? Erika – Sorry for the delayed response. Your box should be flourishing. I’d pull up a shrub to see what’s going on. If the roots look exactly as they did when you inserted the plants — wound up in the shape of the pot — take a razor blade or sharp knife and cut slashes through them. Otherwise, short of seeing the shrubs, I don’t have an answer for you. Sue – Boxwood is toxic to deer. They won’t touch it. 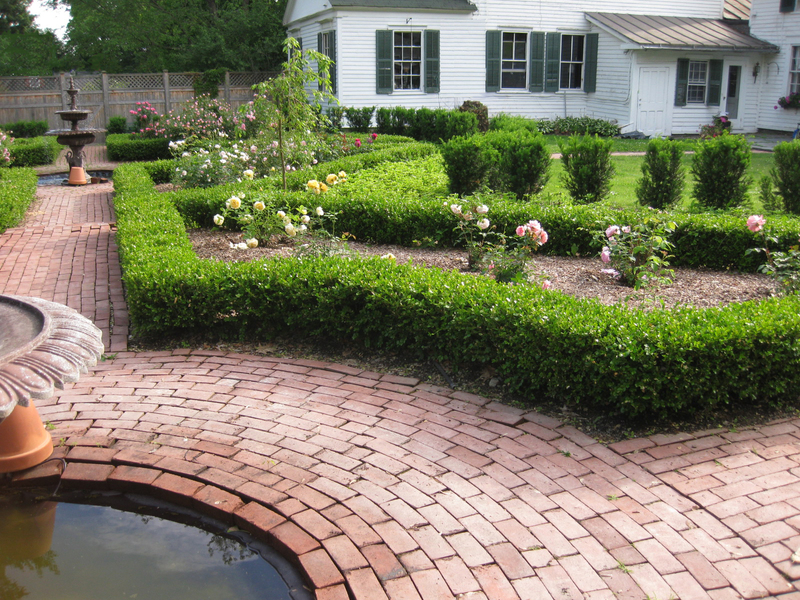 KVC – The boxwood in my rose garden was planted in awful soil. And the plants thrived. Whether boxwood will thrive for you in rocky soil, I can’t say. But for the best chance of success, I’d dig out an 18-foot-wide by 12-inch-deep trench, insert the boxwood hedge, and then refill with good soil. I just found your post via Pinterest and this is good news! Do the cuttings have to be small to root? or can I use a whole “branch”? Hi Tina – Better to use small cuttings. Mine were approximately 6 inches in length. I love the info on the boxwoods! Can you also tell me what the taller shrubs in the back of your garden are? They are beautiful as well. How lucky I am to have happened to find your site while google searching black spot treatment for my two year old planted Graham Thomas roses! One question-do you use whole milk or is 2% okay? Also being a boxwood lover, I’m going out later to make several new plants according to your directions! We moved to a home built in 1905 and there are a few 5ft x 4ft round boxwoods that probably have been here since that time!! Don’t know what the cultivar is though. I going to use cuttings from those bushes as I need some drama in my 1 acre lot especially in the back! Your garden is absolutely beautiful! I have a small courtyard beside my garage. The courtyard is surrounded by a concrete wall (which I’m currently training creeping fig to cover). I would like to plant a boxwood hedge around the perimeter in front of the concrete wall. I would like the height to reach approximately 3 fee/width of 2 feet. What variety would you recommend/what variety did you plant. Thanks Kevin – This is just the information I needed. I can’t wait to give it a try. Do you think Winter Gem would work as a 4′ hedge in partial shade or is there something that would work better? Thanks so much for the boxwood plant info. I never knew this and I am just tickled. My boxwoods have been seeding themselves …I started out with only 2 (very small) plants and now I have a whole bunch of them! I don’t know if the birds are responsible for transferring the seeds or if the seed heads burst open and scatter themselves. Any idea? The best part is that I just have to transplant the new little seedlings to wherever I think I want more boxwoods. One of my daughters has gotten a couple dozen plants from me and started her own little hedge. 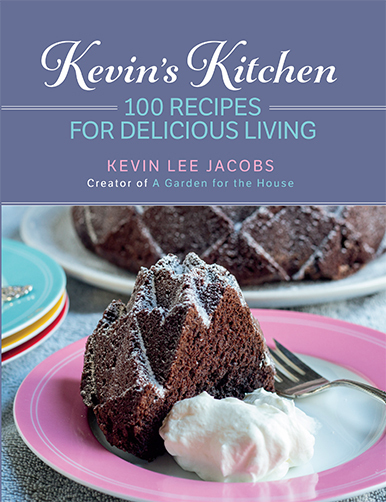 Kevin, Love, love your herb garden! We have been inspired by your beautiful hedges. We live in the Mohawk Valley of upstate New York (zone 5b). We have a 35 foot perimeter circle between our driveway and the sidewalk leading to our home. We would like to plant a hedge of dwarf boxwood along the perimeter of this circle, and plant ground cover red roses in the middle of everything. The area would receive direct sunlight from around 10 am in the morning until dark. How far apart would you recommend we plant each dwarf boxwood shrub in order for it to fill in like a proper hedge if it were to be kept no more than a foot and a half high? Thank you for your help. Hi Bill – If you want your dwarf boxwood to fill in quickly, plant the shrubs 12 inches on center. Otherwise, you can space them up to 18 inches apart. Have fun with your project! OMG, it took a lot of time (but it was actually a lot of fun) to dig out the perennial geraniums, sedum and various other plants that were growing in the perimeter between our driveway and the sidewalk leading to our home. We filled four large, outdoor bags full of roots and old bulbs. We recently purchased a bunch of Winter Gem boxwood shrubs (the variety that you have planted at your lovely home), and we are now ready to start planting our boxwood hedge. We would like to keep our hedge about the same size as yours, and we were wondering if you could please tell us about how far it is from the center of your boxwood shrubs to the edge of your brick sidewalk in the picture above? Thanks again for your help and your inspiration! Hi Bill – My shrubs were set approximately 12 inches on center from the brick walkways. You might want to place yours a little farther away to allow for growth. Click here to read my updated post on boxwood. I just bought some Winter Gem to plant in zone 5A in the Catskills. Haven’t put these in the ground yet, and started to read that this variety turns bronze in he winter. I was planning more of a all-year green look, but now I’m thinking it might be nice to have seasonal color… But I’d like to know before planting. What has your experience been with Winter Gem color in the winter? Your garden is a true inspiration! Hi Alex – ‘Winter Gem’ remains all-green for me even in the worst of winters. You made a good decision when you purchased this variety! For more details and pix, see this post: How I Propagate Boxwood. I do commercial and residential landscaping and boxwoods make up about 70% of my plant material. They look good pretty much everywhere and require very little attention. We planted over 1,100 of them at a castle in KY. It took a while to plant them but they look amazing. Also very easy to trim and shape. I do them twice per year and it literally only takes 2 days to trim all 1,100. Does anyone know if green mountain boxwood can be kept inside as a house plant? I plan on bonsaing my boxwood and wish to keep it inside but I know some plants need to go through a winter cycle is this boxwood one of those or would it survive in my window? Secondly, what variety of boxwood do you grow? Apologies if you've already answered this, I did try looking through the comments but as you're so popular they're extensive lol. Thanks! Hi Sandra – Thanks for commenting! The boxwood in my garden is the ‘Winter Gem’ variety. It’s super hardy in my cold Northeastern climate. Click here for more details.